The 1-mile paved path at North Valley Friends Church winds through oak woodland and open field, down into gullies and up again. It is open to the public and all are welcome to use the trail for exercise and for growing in knowledge of and commitment to peace in all its forms. To learn more about the trail itself, click here. The 2015 Peace Concert is coming up! 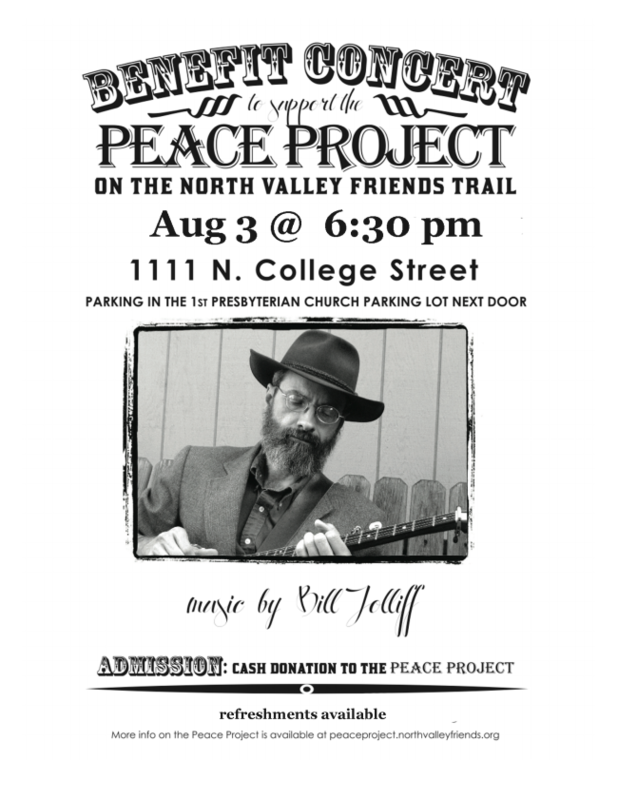 Join us on Monday, August 3 at 6:30 pm to hear some good music and support the Peace Project. Join us for a night labyrinth walk on Friday, July 17, from 8:30-10:30pm! 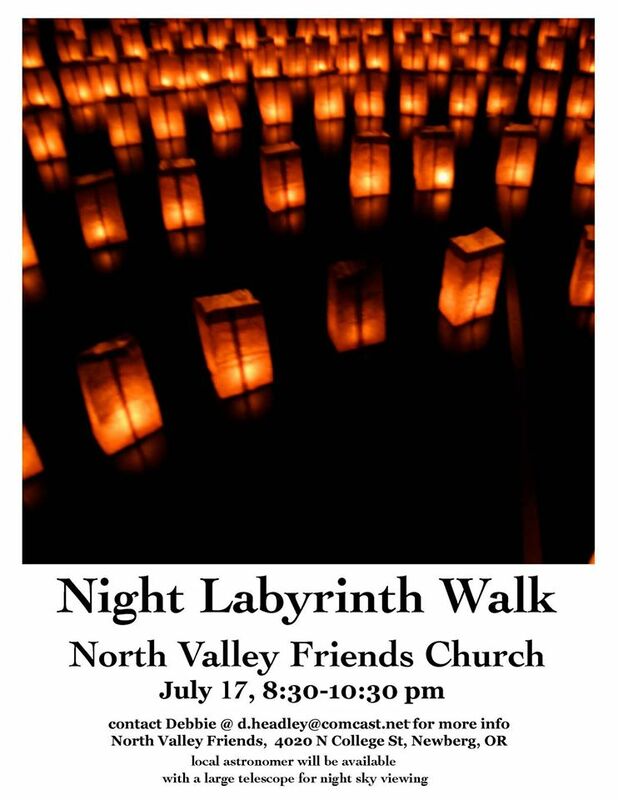 All are welcome and there will be labyrinth facilitators available if you have questions about the experience. North Valley Friends Church is committed to the call of Jesus Christ to be peacemakers in a holistic sense. The trail provides solitude as well as a space to build community. One can gain internal peace through prayerful meditation as one uses the labyrinth or through simply experiencing the wonders of the natural world around us on the trail. One can also connect one’s mind and spirit through exercising one’s body in a beautiful natural setting. 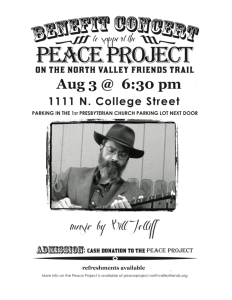 To encourage more explicit connections between the North Valley Friends Trail and the idea of peace in all its forms, we have created various peace elements that are available for your use. Please explore this website to learn more about our labyrinth, peace poles and prayer flags. To schedule group use of the trail or any of these elements, please contact the North Valley Friends Church office.